Holi is one festival where celebration and enjoyment bursts irrespective of religion, caste, colour or creed. The whole nation celebrates the colours of joy in such a way that every community comes together and stands united. However, every year the timing of this festival coincides with the various examinations, such as JEE Mains and CBSE board examination, leaving students in an oxymoronic situation. What more annoying is missing out on the fun during Holi holiday and slogging to study? So what are you waiting for? This is what the examination experts here at Doubtnut are suggesting to students, who are going to appear for engineering exams, especially IIT-JEE. There is no point in restricting yourself. This is because confining yourself within the four walls will only harvest stress, which will do more than any good. While the festival of colours – Holi – will be celebrated on March 21st, the National Testing Agency (NTA) is conducting JEE Mains from 7th April to 12th April, you still have plenty of time in between. Students can easily take out time to play Holi for a short-duration of 1-2 hours. It will not only give you a break from the monotonous study routine but will also prove out to be a great stress buster. You can play Holi in the morning time with your friends and family members and then study during the day time when it generally becomes noisy outside. It is about figuring out that particular time of the day when your brain is most active, for instance, some students are early birds and some are night owls. 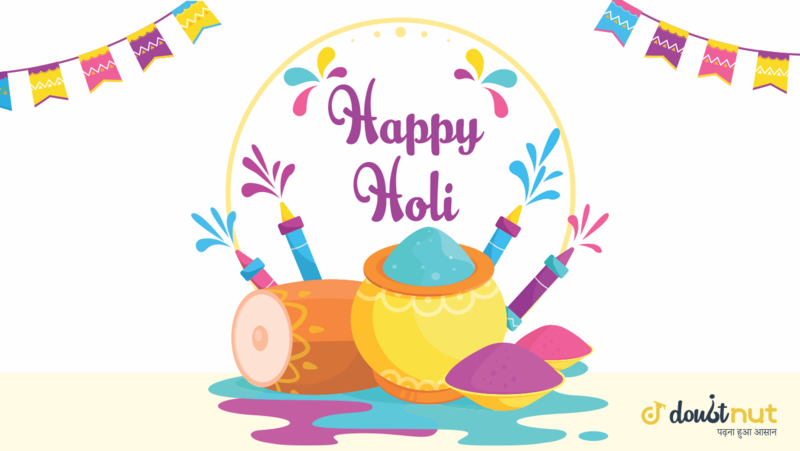 You don’t need to put yourself in a house arrest because you are into JEE Main Preparation, instead, you need to find a favourable equilibrium that balances Holi festivity with your revision routine. You must know the time of the day when you can get the most work done and set aside a few hours of the day, solely for celebration. Make sure to work out a perfect balance and don’t leave things to the last minute. During Holi festivals, it can become a struggle to concentrate on your studies as your house must be filled with distractions. Once you are done with the celebration, take a good hot water bath and find yourself a sound place to study where no one can disturb you. Tell your parents or other guardian elders that you don't want to be disturbed for some time. Get as much help from your elders. Your parents and elders at home will be more than glad to help you with JEE Mains Preparation. Never shy away from help. Before you leave for fun with friends and prepare to rock around in the streets, set yourself up for success. Before leaving the house, spend a few hours of the day on organizing your notes, books, JEE Mains sample papers, and JEE mains previous year question papers or at the very least create a time-table down on paper. Getting it done before the festival will only add into more festive fun. No one has an infinite ability to concentrate, so bear this in mind and plan your Holi Festival Day study routine accordingly. Don’t spend an entire day struggling to study if you can’t focus at all. But, it is important to allocate specific time duration to study. While preparing your timetable, your priority should be onto what it is you want to achieve. Make sure each topic can be checked off by the day end. Clearing a to-do list really boosts the confidence level. Don’t waste precious time on out-of-syllabus and futile tasks. Set a study routine and stick to it. Hitting your study goals constantly will help make your revision smoother. It means you can switch off when you’re done revising and enjoy those Holi Color festivities to your heart’s content! 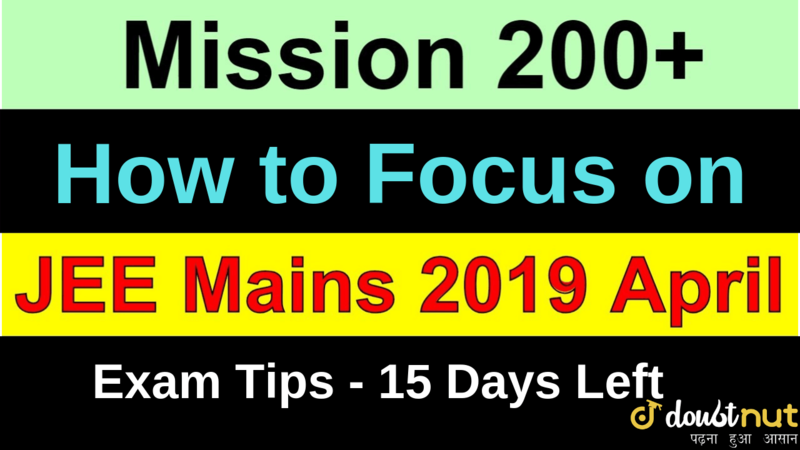 With just a few weeks to go for JEE Mains 2019, aspiring engineering candidates should channelize their time and efforts in the right direction to crack the examination. However, at the end of the day, great scores and grand celebrations are not going to decide your future. For instance, our former president Dr A. P. J. Abdul Kalam has once tasted the failure in the IAF recruitment examination. Now suppose this failure would have caused him to feel dejected and concede defeat in his life, then India would have not found such a great scientist and an extraordinary president. Therefore, it is important to take life as it comes. You should know what you want. Preparation is a key and clear focus on your goal makes the challenge less daunting..
All the best for the JEE Main Preparation!